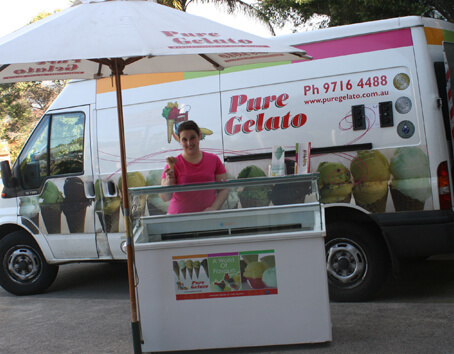 your event-and for your budget. Here are a few of our different offerings. Small and affordable, but packed with plenty of flavour. With all of the authentic vintage Italian style included. 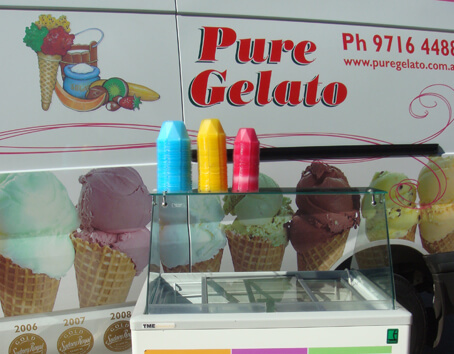 With the standard cones, you’ll have larger portions for dessert-hungry guests, with all of the amenities that will make gelato both delicious and convenient. 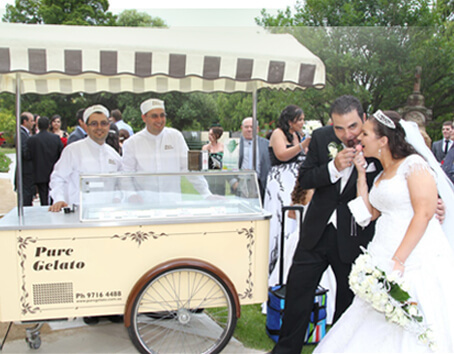 It’s a perfect gelato cart for wedding receptions, corporate events, and more. you’ll have a little bit of everything. 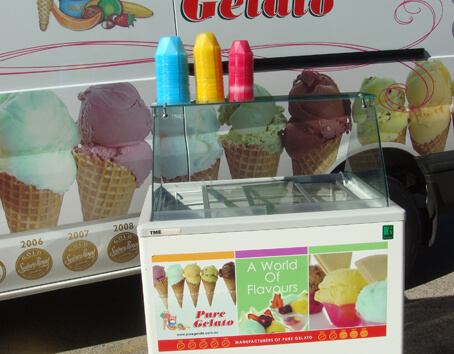 The 7 display freezer is great if you want to offerguests plenty of different options and make a trip to the gelato cart a little more fun. A more minimal option, but no less delicious.It also contains scoop & water basin, napkins, and gelato & accessories enough for 160 portions, along with the usual freezer hire. Does it get more “old-school” than this? 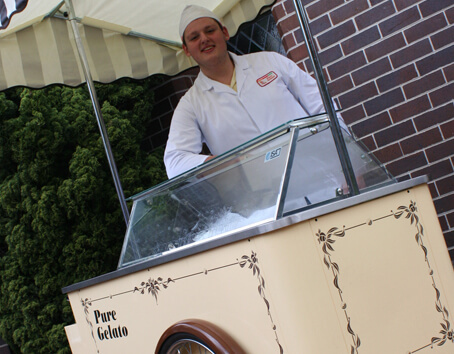 this “mini” version of our services is just as tasty as all the rest – and people will love the vintage throwback to a simpler time when gelato could be wheel-powered. Even the most vintage ice cream cart can’t compare with the bike.